How do you know which duplicate content is okay and which represents a problem for your online store? Duplicate content is a blanket term used to describe content that is slightly or no different from a passage of content hosted elsewhere. If you’re hosting duplicate content in more than one place on your website, you’re missing an SEO opportunity. But generally, you shouldn’t run into issues. Copied content, on the other hand, can constitute a serious issue for your website. 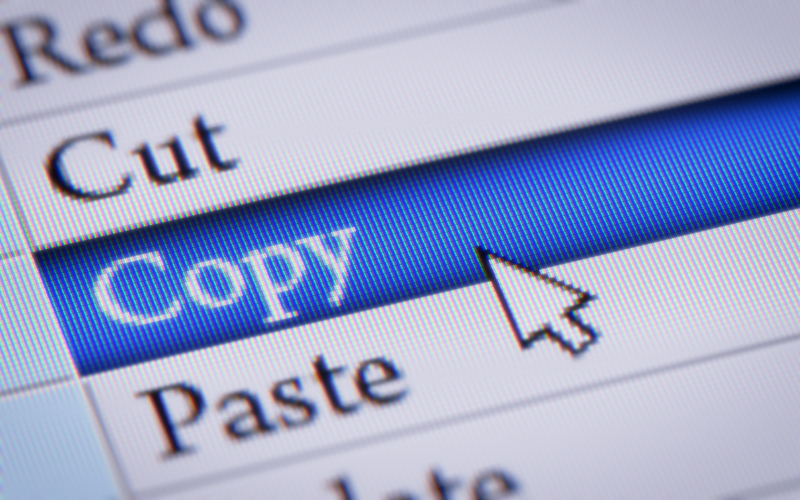 Copied content is a type of duplicate content that appears both on your website and on another outside website. Here, you have a conflict of interest when it comes to search, effectively cannibalizing search results, hurting your ranking, and possibly even leading to penalties when done excessively. For online stores, it’s not as difficult as you might think to publish copied content. Not sure where to start weeding out copied content? Here are a few places you might want to comb to make sure you aren’t making a grave SEO mistake. It’s tough to maintain a constantly updating blog, filling it with fresh content to keep your audience engaged and boost your search rankings. Unfortunately, reposting content that already lives on other websites isn’t the best plan to serve up fresh content for your audience. Like your product pages, you might be tempted to create category pages around brands you sell and seed those pages with content ripped from the brand’s website. Think again -- it could cause another knock on your SEO. The secret to a successful online business is a great SEO strategy. Learn how you can put together a holistic ecommerce SEO program with The Building Blocks of Ecommerce SEO, a free ebook from 3dcart detailing the foundations of great search engine optimization.